Batavia is a town filled with character and charm, as it is the oldest city in Kane County, founded in 1833. Although it maintains its “small town” flavor, it strives to stay in tune with modern technologies and opportunities. Batavia is home to over 200 varied manufacturing, research and warehousing firms and is the hometown of Fermi National Accelerator Laboratory, world-renown center for high energy physics and Mooseheart, the international child-city of the Moose Lodge. Additionally, the community commitment to the quality of life of its citizens and institutions is very strong in Batavia. The Batavia School District is ranked as one of the most educationally advanced systems in the State of Illinois. The city boasts a long-standing record for support towards the quality of education for its children. Batavia’s new modern library and park system tell of Batavia’s plans for the future. Additionally, the community commitment to the quality of life of its citizens and institutions is very strong in Batavia. The Batavia School District is ranked as one of the most educationally advanced systems in the State of Illinois. The city boasts a long-standing record for support towards the quality of education for its children. Batavia’s new modern library and park system tell of Batavia’s plans for the future. to request a market value report or for more information about Batavia real estate. 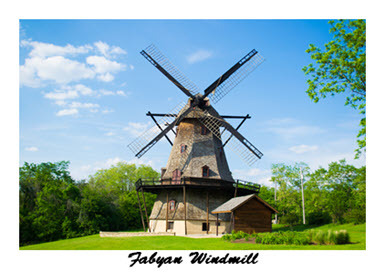 As are many of the towns in the Fox Valley, Batavia is a town of traditions. To name a few, Christmas Tree Lane downtown in December, the annual 4th of July Fireworks Show, the Windmill City Festival in mid-July, and the annual Brotherhood Banquet are well supported by the community.